Brand: King Arthur Flour KG-4447 Units: 3 oz. tub Enhance the flavor of any chocolate baked good using espresso powder without adding any coffee flavor. To substitute for coffee in recipes, use 1 tsp. espresso powder dissolved in 1 Cup hot water for each cup of regular coffee called for. 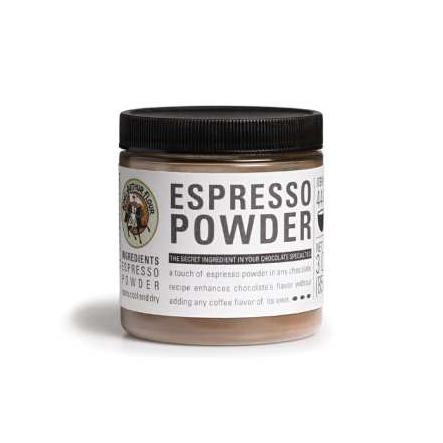 Enhance the flavor of any chocolate baked good using espresso powder without adding any coffee flavor. To substitute for coffee in recipes, use 1 tsp. espresso powder dissolved in 1 Cup hot water for each cup of regular coffee called for.